Galvanized metal, slate, black iron combine with silver and black leaved plants - my chosen motif for our decks this summer. The miniature pineapple lily in the slate cube are new dwarf varieties I am testing. 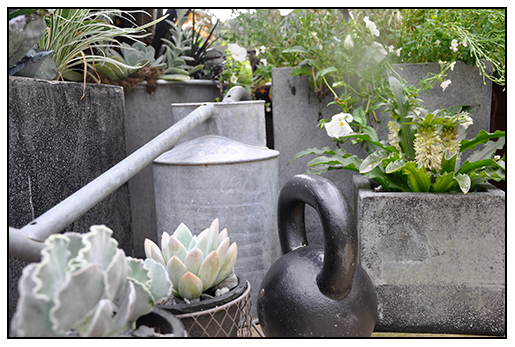 Metal colored succulents pair nicely with galvanized metal. 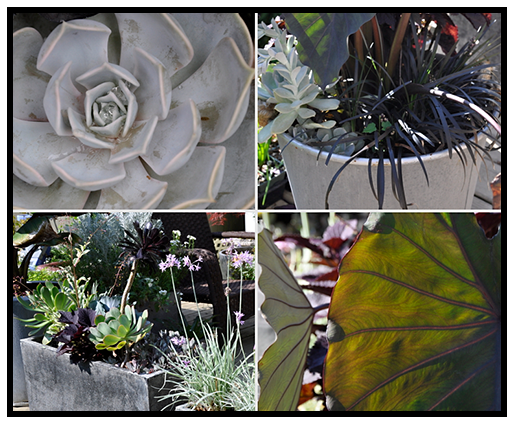 Today there are many choices for black or metal colored foliage plants - once you start looking, you will be surprised at what you can find. Black Mondo grass, acts as a ground cover in a larger container. Agapanthus 'Storm Cloud' The Blue Lily of the Nile is a common landscape plant in the south, and in California, but here in New England they are a treasured beauty, perfect for large tubs that can spend summer outdoors on the terrace where they will blossom during the hottest days of the summer. Today this blog is from coming from not just Me ( Matt, but also from Joe. A few months ago, we agreed to review a couple of sprinklers manufactured by Contech and Rainforest Sprinklers. We are very careful about any products we review, and we take time to test them out fully - putting them through all sorts of real garden scenarios. believe be, we are just not going to write a great review just to free product. This takes work. The two sprinklers we tested, I split between the two of us. I tested the beutifully designed Rainforest Complete Sprinkler with two way Spike, a sprinkler that is not only easy to handle ) it is so light, and easy to use, you just pick it up and push it back into the soil where ever you want, and it happens to be pretty. I mean, beautiful actually, with it's heart shaped spinning head of recycled plastic. As a designer, I always appreciate good design, and this one - literally, is functional, works perfectly and is attractive. The full monty. Retailing at about $12.00 US, it is a value, too. This sprinkler head comes in a tripod version too for $39.00, which, for our size garden, will me more useful, but this one I am using on the raised beds, and I am ordering more for use inside the greenhouse. THE RAINFOREST SPRINKLER - A FINE, SOAKING MIST IN A HANDY FORMAT. I APPROVE. 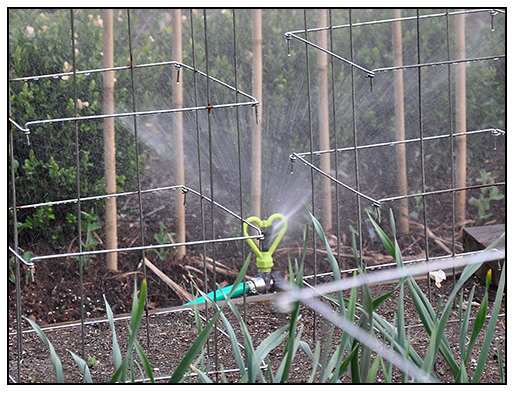 I have to mention that the spray from these Rainforest sprinklers is is quite unique - a misty spray rather than a hard, forceful squirt- which makes them useful for not only soaking the ground, but for use over newly sown seeds ( like my poppies) or over full grown crops, such as the garlic and cabbage. Plus, the fast spinning head is relatively silent, which is refreshing after listening to the 'spish, spish, spish, spank -chic-chic-chic-chic' of typical sprinklers that make ones garden sound like a golf course. These are so quiet, that you only hear the water spraying. These sprinklers also use less water ( about 1/3 less according to the designers) vs most of the competitive oscillating sprinklers, which have more waste, with water squrting all over the place, here, and there - these have a tight range, which is helpful. 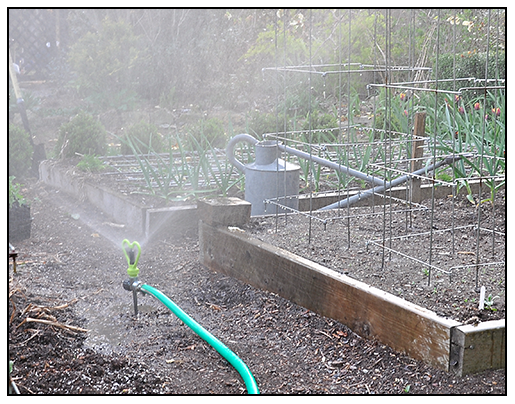 And now, Joe's post about the Scarecrow sprinkler. My 'Oh So Fancy' Weeds. That's Right, Weeds. 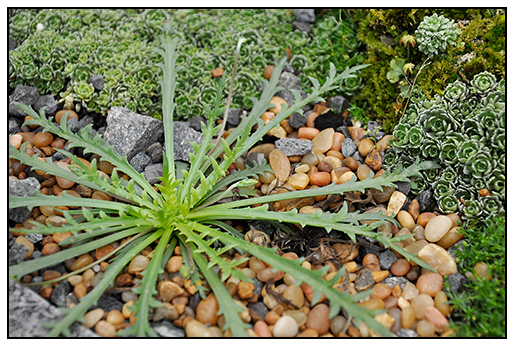 Plantago barbata - a toothed slender leaved plantain from Chile, growing in an alpine trough. 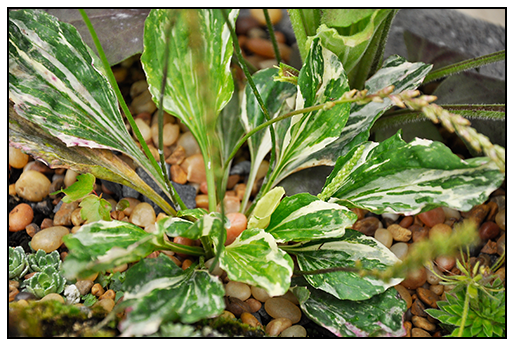 Plantago major 'Variegata'. The variegated form of our common lawn weed, the common plantain. My friend Glen Lord, a plantsman from central Massachusetts who lives not far from me, shared some seed and seedling of variegated weeds. 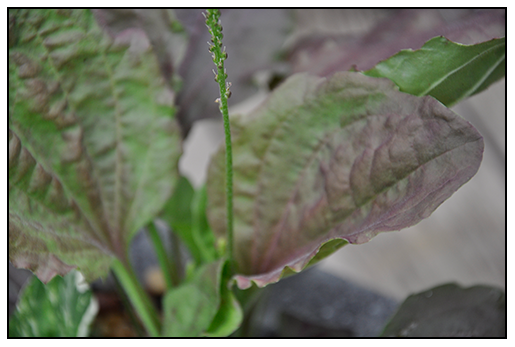 He goes in for such things, anything variegated, odd dwarfy things, and weeds that are interested, such as these common plantains in mutated forms. Glen also loves dandelions, the red leaved ones, variegated ones, and he even entered one as a bonsai in the New England Spring Flower show...and won! Sure, Glen is also a very talented bonsai master, as well as a knowledgable horticulturist, but I have to admit, these weeds he gave me are pretty interesting. With the intense heat and heavy rains over the past weekend, it seems all I've been doing is weeding, weeding and weeding. 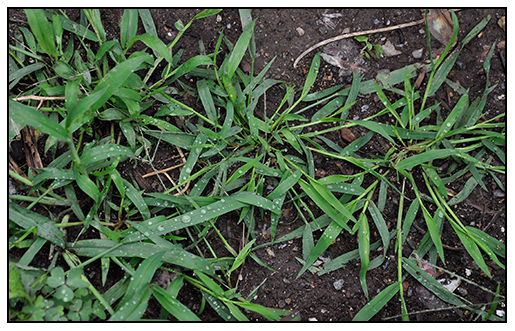 Crab grass seems to grow 12 inches after just one thunderstorm, but these plantains from the other side of the tracks are helping me feel a little differently about some weeds. Plantago major 'rolularis', a plantain with green produces these odd rosettes. Amazing, right? 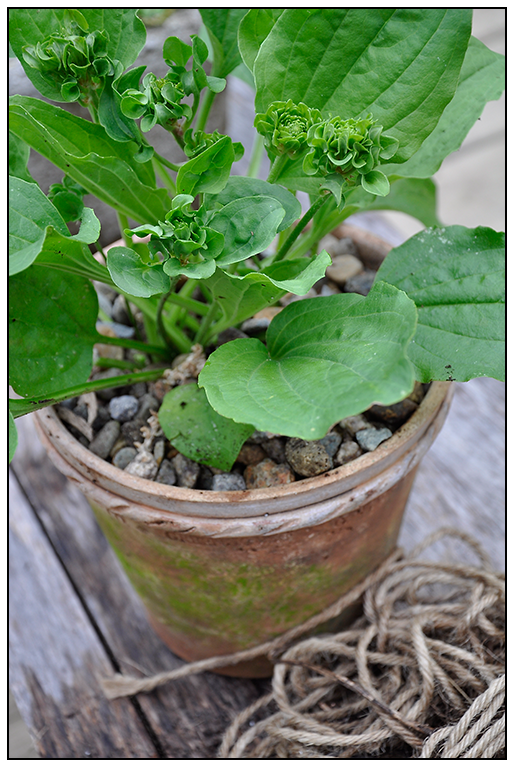 This rosette form is like a green auricula primrose. Phytolacca americana -"Variegata' a variegated Pokeweed - I dare not plant these in the garden, but in the greenhouse, they are OK. 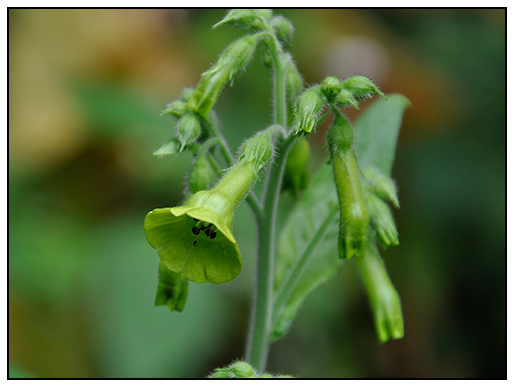 The green flowered Nicotiana, N. langdorfii, is a weed that I don't mind seeding around here and there. It's not really a weed, but it does survive our winters, emerging in the warmer crevices in the bluestone walk. 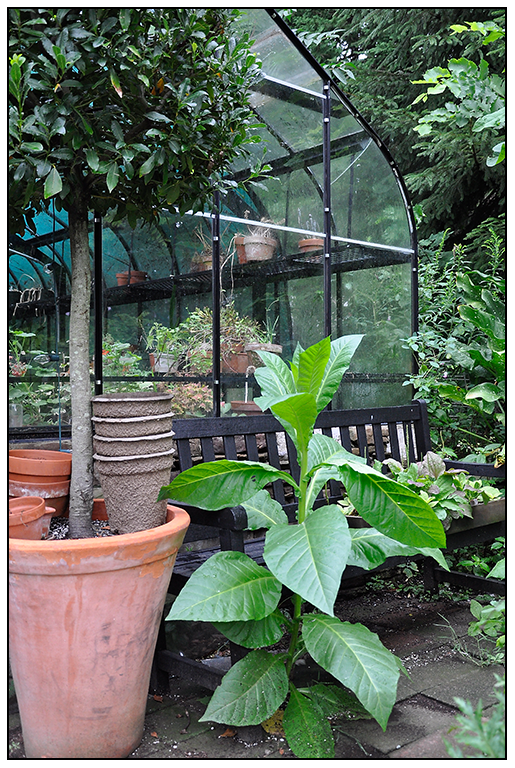 This Nicotiana plant came up in between the bricks, and although I know that I need to pull it as it is the common tobacco. I am impressed with its size. 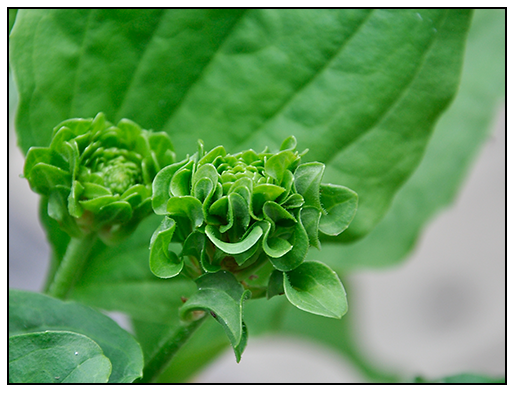 I have two nicotiana species that self seed around the greenhouse, and this is one I do not want, where the green flowered N. langdorfii I love, and try to keep those seedlings everywhere. I did find this variegated ( or virused?) 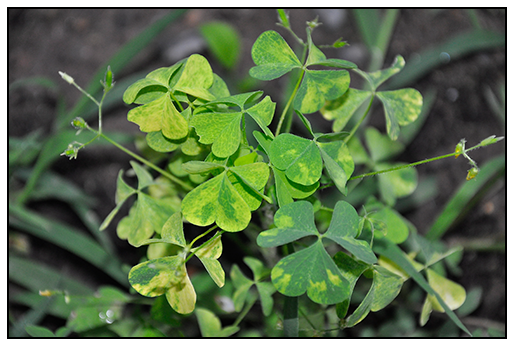 Oxalis while weeding the tomatoes today! I know, it's probably just a virus but I left it anyway. Serious about seed saving? Then time to geek out. I've been neglecting the expert gardener for a while, so as summer moves forward, a little post about seed saving, seed collecting and some of the best sources for rare wild-collected seed (be forewarned - this is not a post about collecting seed from your own plants - I am focusing on wild collected seed by knowledgeable botanists and plant collectors) - these seeds are like rare zoo animals, and must be purchased and grown by people who are willing to take the extra steps). I'm not that worried about the masses sweeping in and trying to buy all of the crocus seed, but just in case, I felt the need to warn the newb's. For the rest of you pro's - go at it, these are some incredible sources, and some are even new to me. If you are new to gardening, still download, register or order these catalogs - it's the best, if not only way to learn about new plants, and who doesn't want to learn something new? 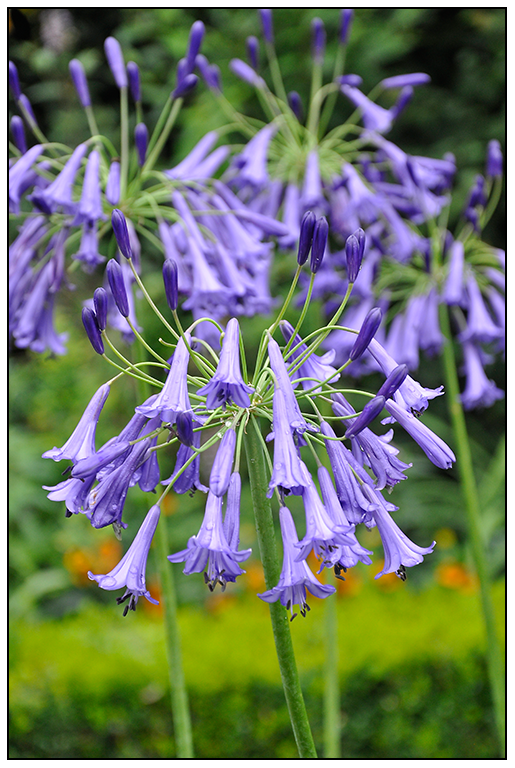 Mid summer is the time to order the wild collected seeds of South African bulbs, Southern Hemisphere alpines, and seed of ephemerals from eastern Europe, Asia and elsewhere. Plant enthusiasts generally know all of these sources, but it's always good to remind some, just in case people are too caught up in garden chores to remember that this is the time to order seeds for winter germination in greenhouses, or bulbs that are winter blooming. First on my list, is a new source for me. If you love hellebores, but find them either too costly, or, just boring because they are all hybrids, try growing some from seed. There are tricks to know, if you want success in growing hellebore plants from seed, but the most essential fact is that seeds must be sown fresh - and there are only a few sources who can bother to offer freshly collected seed from wild plants, or even from garden plants. The same goes for ephemerals. Corydalis, woodland anemones and other wild woodland plants. It's a recent discovery which few botanists share with others, the fact that seeds from many of the rarest ephemerals (such as those from Trillium), can be picked when the pods are still green, rather than when ripe and red. Many of these seeds, if allowed to mature, are not easy to germinate, and many can require years to stratify since chemical germination inhibitors form once the seed capsule fully ripens, but if gathered in late summer before they ripen, and sown immediately, germination can be within the same season, or within a year. There are few botanists today collecting seed in the wild, so I was thrilled to discover the catalog of Evolution Plants, owned and operated by Tom Mitchell. I suggest downloading the pdf in low res., since it looked perfectly fine on my mac, and was not too small. 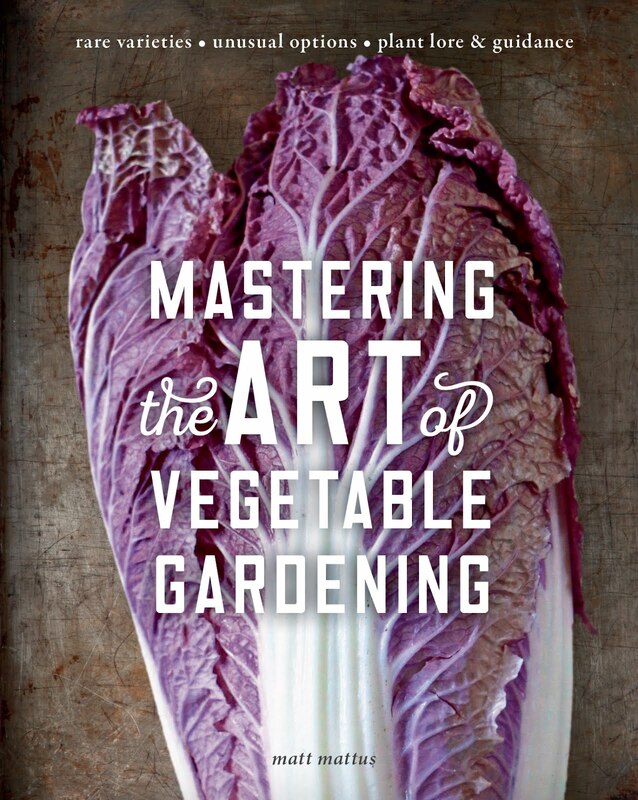 This catalog reads like a digital book, and I suggest that everyone interested in plants read it. 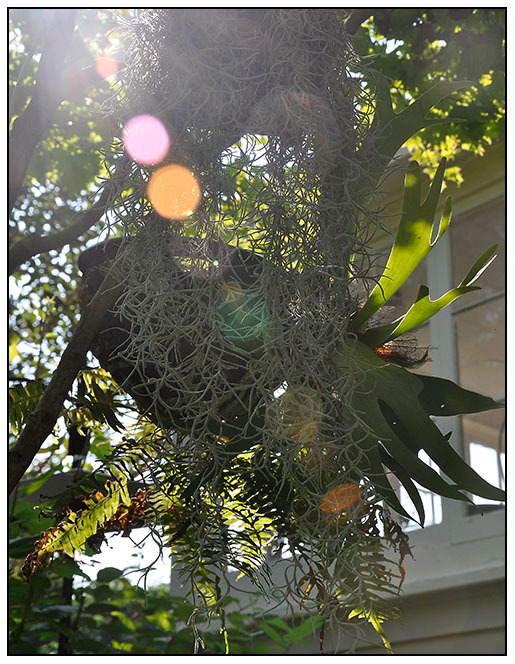 There are more articles about his collecting and collections than there are about the specific plants, which makes it a refreshing plant magazine for the serious plant enthusiast. believe me, there are only very few of those left. I downloaded it to my iPad to read while traveling next week. THE SEED OFFERINGS FROM EVOLUTION PLANTS, CREATED BY BOTANIST TOM MITCHELL READ MORE LIKE A NATIONAL GEOGRAPHIC MAGAZINE, THAN A SEED CATALOG. 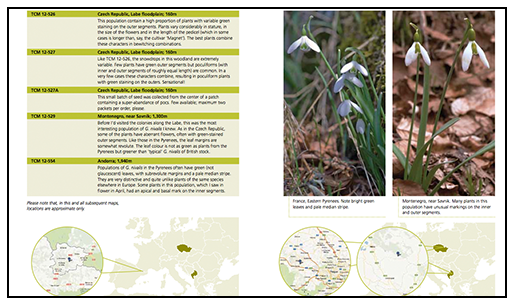 The pages I saw on Evolution Plants today focused on hellebore species and galanthus ( snowdrop) species ( both are his specialty). Many of the pages in this catalog show the more traditional collection number of the species, but Mitchell adds much more - photos of the plants in the wild, as well as maps showing the collection sites. Factor in the well-written paragraphs of copy elaborating on the story behind each collection, and one can quickly see why the catalog becomes more like a magazine or plant society journal than merely a catalog. I imagine this is what Dan Hinkley would have created if Heronswood Nursery was still under his wing. It's such a smart use of new technology. Digital publishing, digital photography and self-publishing. In the end, it's really all about content, and with content like this, imagine what would be lost if he only sent out a seed list in MicrosoftWord? If you have a place where you can grow winter-growing bulbs ( a cold greenhouse, an alpine house or a glassed in conservatory in the north) then don't forget to order seeds now from Silverhill Seeds in Cape Town, South Africa. Be sure to select where in the world you are accessing their site from ( UK, AFRICA or REST OF WORLD) and then enjoy checking out all that they carry. I have been ordering seed from Silverhill for ten years, and can attest to the viability, selection and quality of the seeds which they carry. Their list is not limited to bulbs, so be sure to check out their annuals for next spring. Some if not most of these are found no where else on earth. 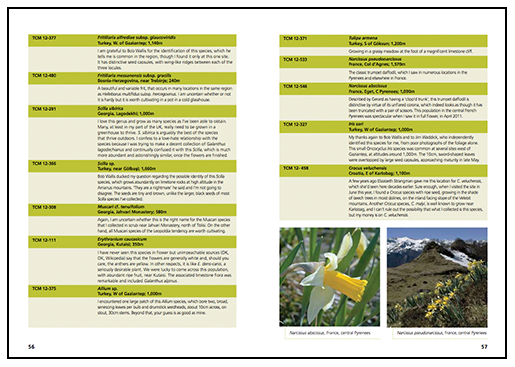 For some of these sites, if you are new to collecting plants, you may need to keep Google open on a separate window - even I do that, for many sites like Silverhill do not offer photos of the plants, only the latin names. Hey - it's the only way you will learn! Be sure to maximize sites like Pinterest, to save your fav pics, and to create your wish lists. Otherwise, if you are like me, you will not remember. Interested in more South African plants? Then a great source is Penrock Seeds, also from South Africa. Tragically, the proprietor of Penrock - Charles Craib passed away in March, but Leigh Nieuwouldt, partner in the business, entire that business will continue to continue, for now. So I think, order soon just in case things change. This is one of the finest sources for truly rare, wild collected seed from species like Albuca, Lachenalia, Massonia and of course, Pelargonium ( geranium species). If you are a serious collector, you already know - I am only posting this because there must be some people out there ( like me ten years ago) who are just starting to try more challenging plants, as they grow ( with plants). ahem. I encourage every who may be interested in learning more, to view the newsletters ( online) from Penrock. The photos here are from them ( all taken by Charles Craib), which shows what a loss we have in the plant world. Micro climates and species-rich areas such as the Amazon basin and the veldt of South Africa hold some of the most diverse species-rich ecosystems on our planet, yet these countries are experiencing global warming, and risk from industrial expansion and over-population. 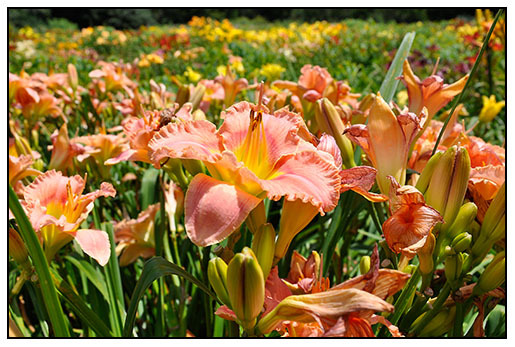 Natural resources are limited, and sadly, a rare gladiolus may be the cost for more oil, or diamonds. If you are passionate about alpine plants, don't forget to get saxifraga seed from Alpigena Nursery located in the Netherlands. Don't forget, they also have rare primula, androsace and gentiana. 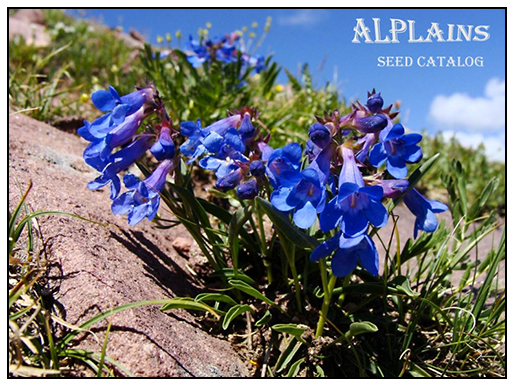 Here in the US, we must not forget Alan Bradshaw's Alplains Nursery - the choice for select, wild collected seed from the mountains of the south and western parts of North America. Alplain has been and remains the number one source for the rarest of alpines from seed. So if you are looking for Viola douglasi, Rare Erythronium (dog's tooth violets) like E. multiscapoideum, Allium species from North America and certainly, Penstemon's from the south west, Alplains in the place. From Canada, comes Gardens North - Seeds of the World. I have yet to order from here, but friends assure me that this is a great source for some native North American species, ephemerals in particular. When I last checked, their catalog was not posted on-line, but I would just bookmark the site and check back often. For the super-alpha serious, there is Mojmir Pavelka, from the Czech Republic. Again, check back frequently for a price list once seeds are available, generally in the late fall or winter, for spring sowing. Pavelka is a noted alpinist and carries a wide selection of Asian and European alpines found no where else. 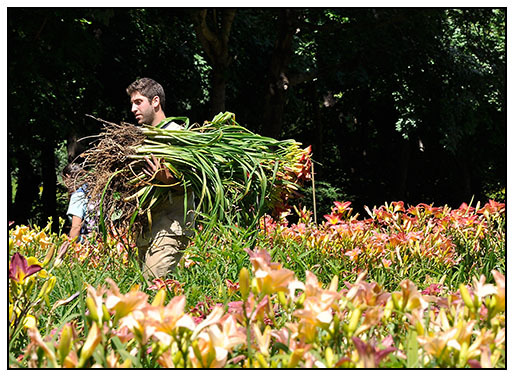 ( Botanic Gardens order from him, if that tells you anything). 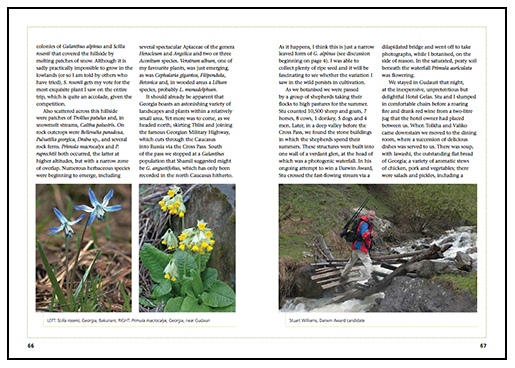 Also from the Czech Republic, the site of noted alpine collector Vladislav Piatek, where one can get rare seeds of interesting alpines, wild collected seeds of Rhododendrons and other high-elevation plants collected during his expeditions. John Lonsdale ( a good friends and noted grower of fine rare bulbs and alpines here in the US in Pennsylvania) does offer seed of from his personal collections ( he also has incredibly rare cyclamen bulbs for sale right now while they are dormant, so be sure to check that out too, but more on bulbs in another post). 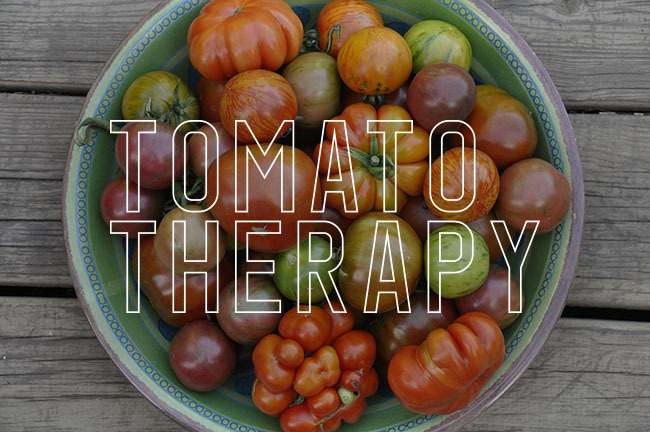 John grows only the finest plants, and if you have not been to his site, it's the best place to learn about everything from bulb families to step-by-step directions on how to grow many plants. His photos are well done, and organized by plant Family, which may make navigation more challenging for the novice, it's a joy for the experiences. Sites like John Lonsdale's make the internet invaluable. 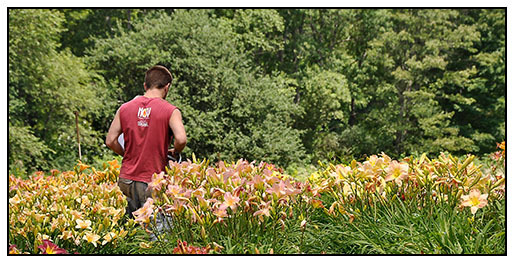 John is one of the most experienced and knowlegable plantspeople in the world. Another source for fresh Cyclamen seed ( rare species forms) is the Dutch site Green Ice Nursery. I have not ordered from them yet, but if anyone else has, please let me know. 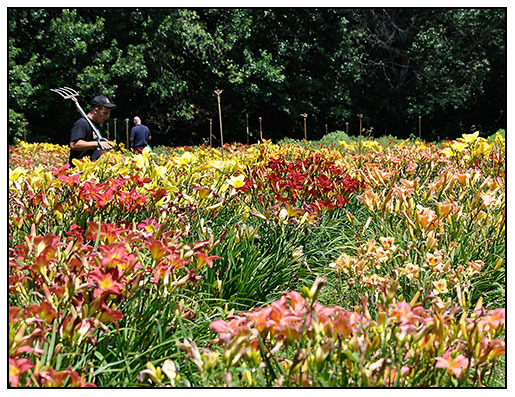 ONLY PIXELS AND FLOWERS CAN REPLICATE SUCH COLOR INTENSITY, WHICH OPENS UP ALL SORTS OF OPPORTUNITIES FOR GARDEN DESIGNERS. WE CAN THINK DIFFERENTLY. NOTE: THIS IS NOT PERMISSION TO PLACE ORANCE AND NEON PINK TOGETHER. 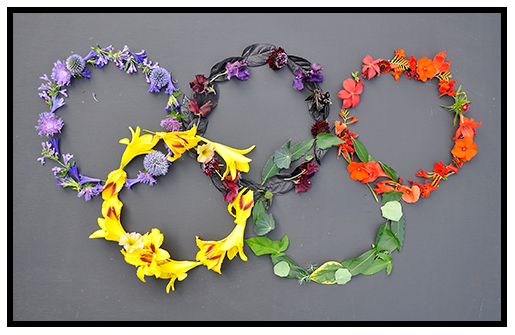 THE GRAPHICS ON MY HOME TV SCREEN FROM TODAY'S OLYMPICS, HAVE ME THINKING ABOUT COLOR THEORY IN THE GARDEN. 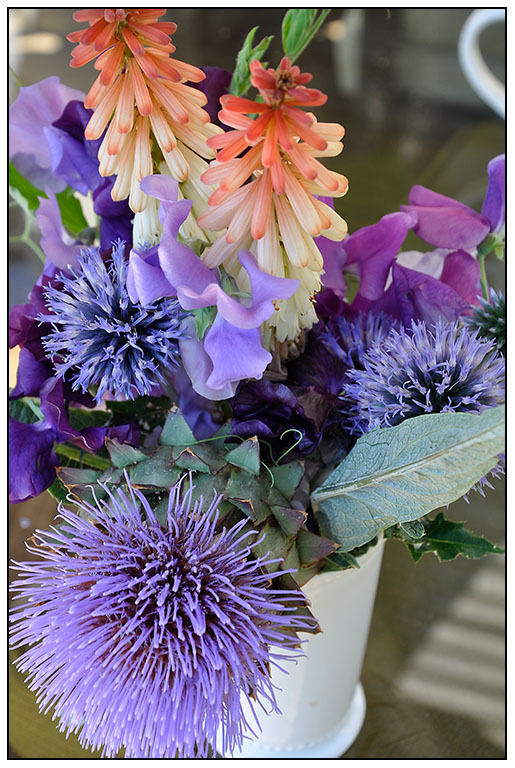 This whole color thing has be thinking, so maybe I'll write the longest post I ever have, to discuss some of my ever-changing theories about color, the garden, and design. This is not just a headline cleverly crafted to increase my SEO numbers. This information that will help you overcome any color combo issues you have in the garden, and if you are wondering how this ridiculously long post could ever relate to you, I could summarize the facts - Olympic graphics, pixels biological;y based plant cells are not that different from each other, and, I will prove to you why a garden based around purple and red makes far more sense than one based about pink and blue. Believe me, this will change your life - or at the very least, how you will be choosing your color palettes next year. 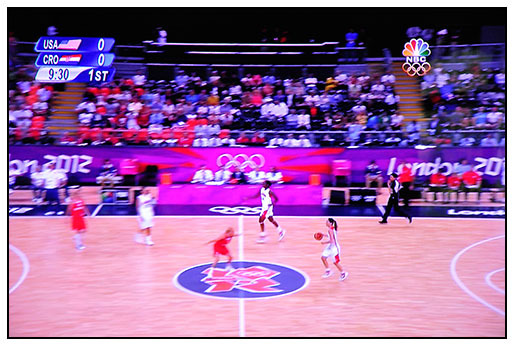 And that 'olympic women's basketball things?' Read on, you will never think about color in the same way. 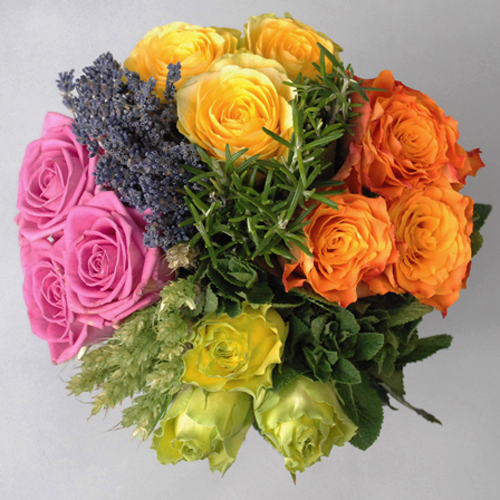 The talented design team at posh international florist, London's Jane Packer, has been selected to design and produce the 4,400 floral bouquet's being presented to medal winners at the 2012 London Olympic games. The task is massive, and the restrictions equally as challenging, but the team found a creative solution, thanks to the leadership of creative director Susan Lapworth, and a whole team of growers, stylists and suppliers across the country. Jane Packer has a New York City story too - 328 East 59th St. Check it out if you are in the city. 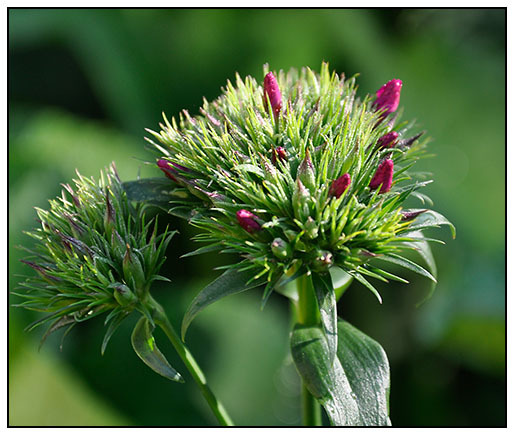 SEED-GROWN DIANTHUS BARBATUS 'AMAZON NEON' SERIES STILL PRODUCES GREEN TUFTS OF MOSSY HEADS, BUT SOON WILL BE COVERED IN BRIGHT, MAGENTA BLOSSOMS. 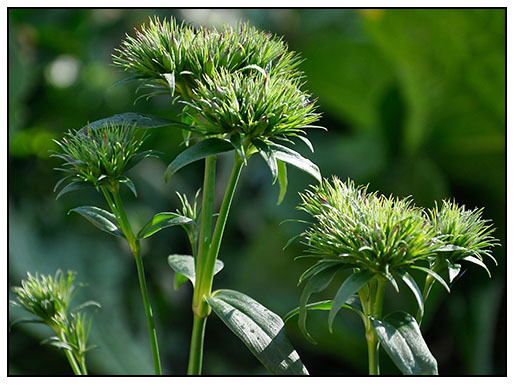 AT THIS STAGE, THEY CAN ACT AS A SUBSTITUTE FOR 'GREEN TRICK' DIANTHUS, IF YOU CANNOT FIND THEM SOLD THIS YEAR AS STARTS. 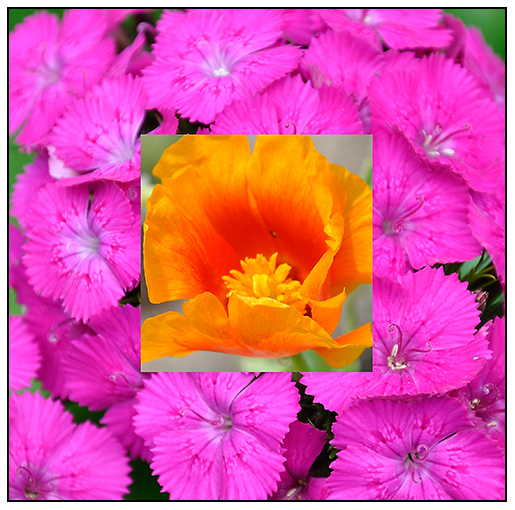 That darn 'Green Trick' Dianthus barbatus - It arrived three years ago, and captured the heart of most every capable floral designer - 'Green Trick' dianthus introduced by the Dutch cut flower breeders a few years ago, remained out-of-reach, until now. Plan for next year, and now, you too can grow this mossy, green globe of a dianthus with tall stems and mussy tufts of fuzzy green globes bobbing at the end of tall stems that can reach as tall as 30 inches. Next year, surely 'Green Trick' will be on everyones growing list, but it looks like the stock is still being sold as micro-propagated starts, and not from seed. So if stylish, green cutflowers make you swoon. If you can't wait? Order your plugs now ( It might be sold out before long) so stock up. Can't wait? Or want more plants? 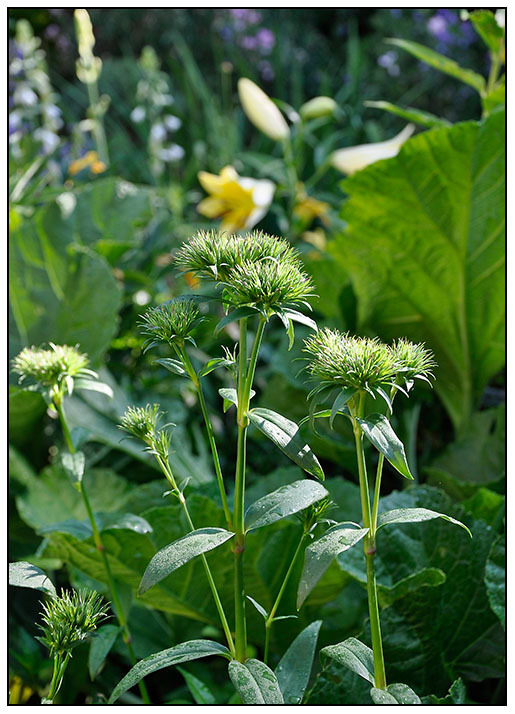 Then I would suggest some of 'Green Trick's' closest relatives, other newly bred and introduced Dianthus barbatus introductions which also grow tall, being bred for the cut flower market, and which also produce mossy tufts of green calyx's, but only before hidden flower buds emerge and bloom. To retain the green, mossy look, simply pick them early. Later, you will also get brilliant magenta flowers within the heads, which is not such a horrible thing either. As you can see above, there are other new varieties of Dianthus barbatus ( Sweet William) which have been recently introduced to the cut flower trade, that can be grown at home in the cut flower garden, or tucked away between perennials to fill gaps in the border, as I use the plants. 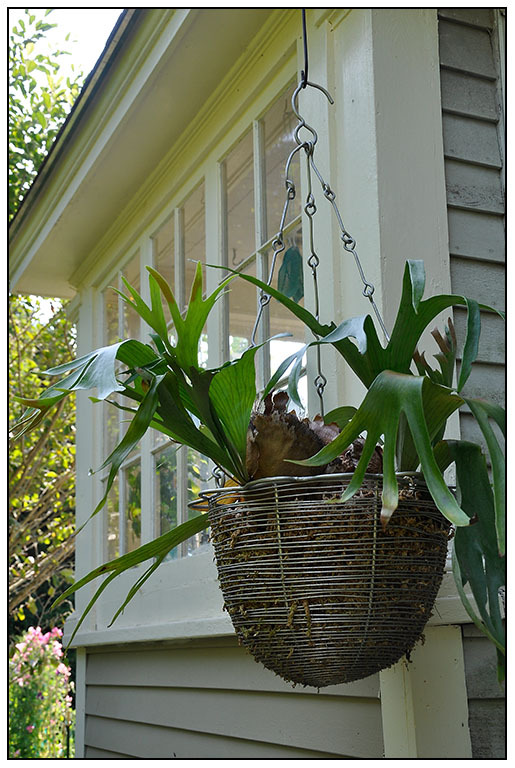 STAGHORN FERNS, HAVE BEEN HUNG ON THE NORTH SIDE OF THE PORCH, WHERE THEY CAN ENJOY SUMMER BREEZES AND THUNDERSTORMS. 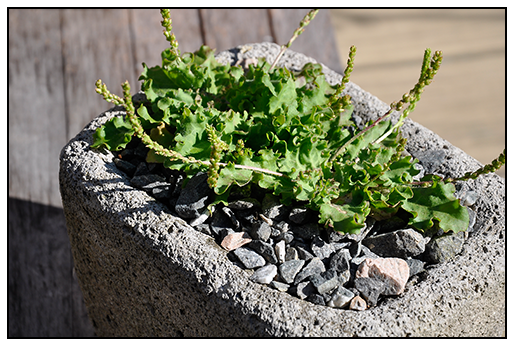 WHEN THEY GET DRY, THEY ARE DUNKED INTO A HORSE TROUGH OF WATER FOR A FEW MINUTES, ALONG WITH POTTED ORCHIDS, WHICH KEEPS THE MOSS AND POTTING MATERIAL DAMP DURING HOT, DRY WEATHER. 'DUGANSKI' HEIRLOOM HARDNECK GARLIC, FRESHLY DUG AND READY TO BE CURED IN A DRY, SHADY SPOT OUTDOORS. Growing your own garlic takes time, this crop was planted last October 2, so if space is an issue, you may want to try buying garlic at your local farmers markets. 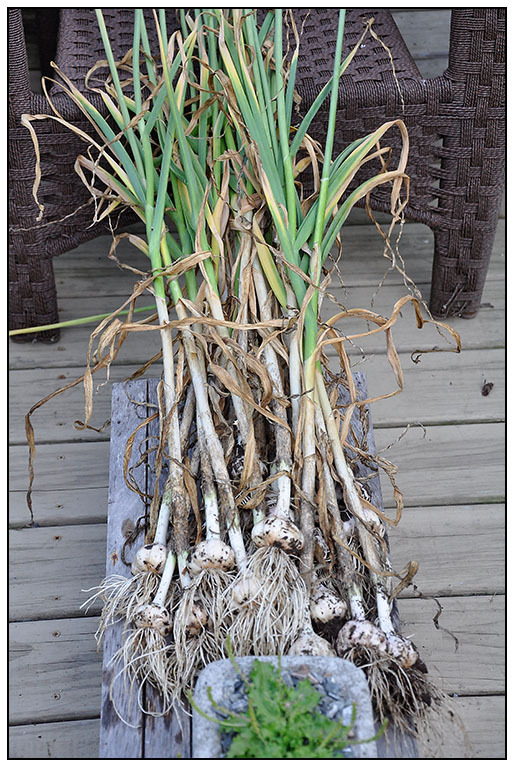 Still, home grown garlic is pungent and strong, and crops can be heavy, so given the cost of even a few garlic bulbs, the flavor of home grown and the volume you will harvest, loosing some space from where you may want to grow tomatoes may be worth it. This year, I am mostly growing Garlic and Tomatoes, as space is precious and of course, the sweet peas took up a good amount of room, too. This is my first year growing garlic, and although I made some mistakes ( not cutting the flower scapes off early enough, and not digging some varieties earlier before the stems turned brown) I think I still have been able to harvest a decent crop of three varieties, Duganski, Bavarian Purple and Western Rose. Being somewhat of an bulb expert, I thought that growing garlic would be easy, but my logic was not always correct. Growing garlic is quite different than growing onions. Across New England, gardeners are digging their garlic this week, as garlic must be dug before the tops fade away and dry, unlike onions. 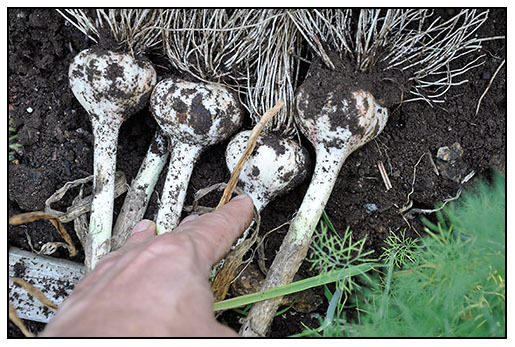 It's a bit of a judgement call, but most experts agree that once the first two bottom leaves begin to dry and turn brown, it is time to dig ( not pull) out your garlic crop. 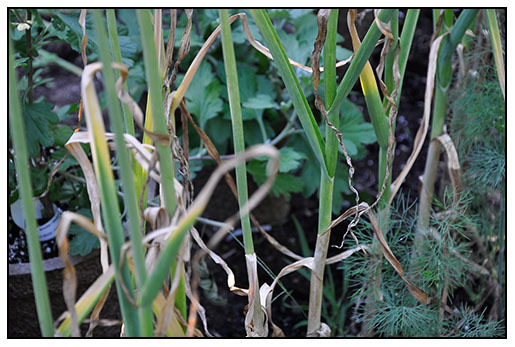 Garlic at this point, will still have strong roots, and stiff stems, and a curing period will be required. 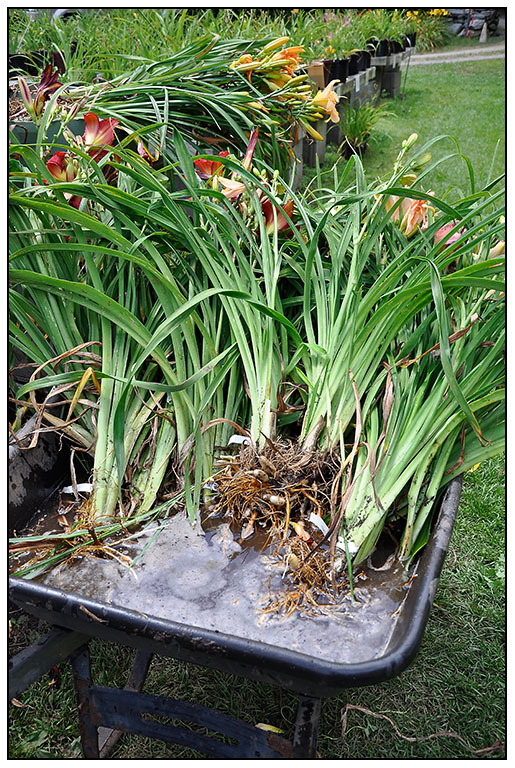 Don't wash the soil off of your bulbs, but rather allow them to dry ( never in the hot sun, as that can change the flavor). 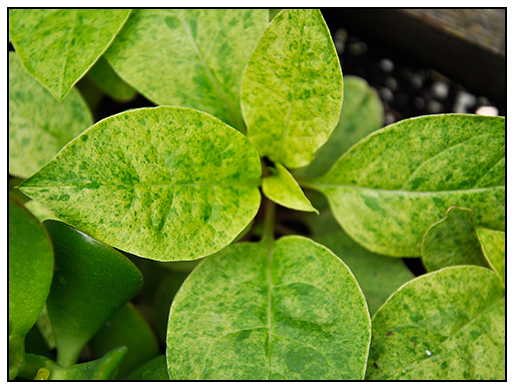 Find a shady spot outside, and let them air dry and cure for at least three weeks. Once the drying process is complete, snip off the stems leaving just small stump. 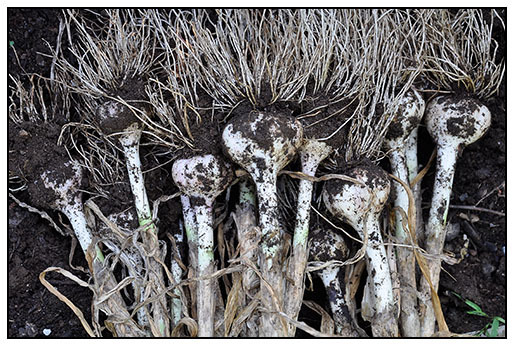 HARDNECK GARLIC IS READY TO DIG, IN MID TO LATE SUMMER, JUST AS THE BOTTOM LEAVES BEGIN TO DRY AND TURN BROWN. 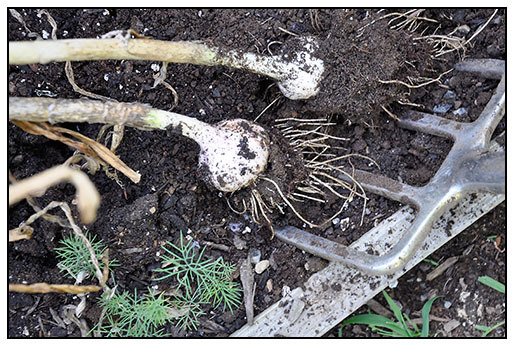 USING A PITCHFORK TO FIRST LOOSEN THE SOIL, WILL ENSURE THAT BULBS ARE NOT DAMAGED, SO RESIST PULLING ON THE STEMS TO REMOVE THE GARLIC FROM THE SOIL. HARDNECK GARLIC AT THIS STAGE WILL STILL HAVE STRONG ROOTS, WHICH WILL NEED TO DRY OFF BEFORE BEING REMOVED AFTER THE CURING PROCESS. 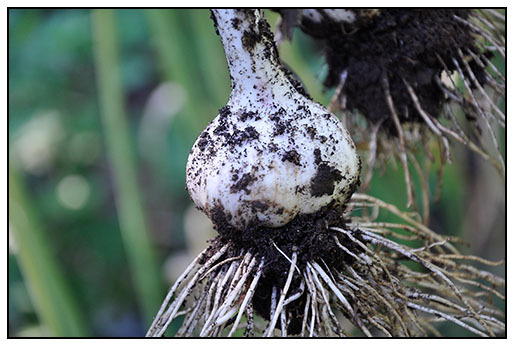 BE CAREFUL NOT TO BRUISE OR DAMAGE THE GARLIC HEADS AFTER DIGGING, THE PAPERY SKIN WILL MATURE SLOWLY AS THE BULBS DRY IN THE SHADE. , AND ONCE DRY, ANY REMAINING SOIL CAN BE RUBBED OFF CAREFULLY, THE ROOTS TRIMMED AS THE STEM CUT FOR WINTER STORAGE..
HARDNECK GARLIC STEMS CAN BE LONG, THESE ARE NEARLY FEET TALL. 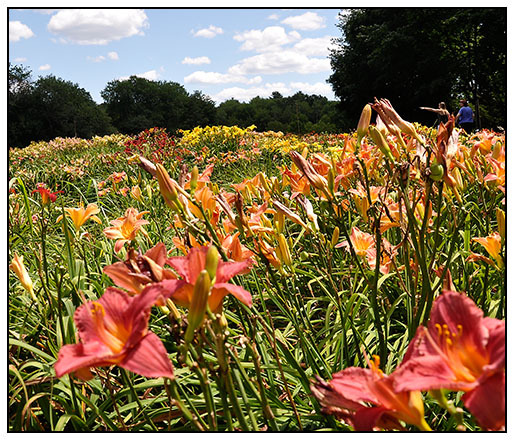 A SUNNY DAY AT SEAWRIGHT GARDENS, IN CARLISLE, MA - AN OLDER DAYLILY BREEDERS FARM WHERE ONE CAN HAVE DAYLILIES DUG FRESHLY FROM THE FIELD. THIS MAY BE THE LAST YEAR THAT THEY ARE OPEN, SO THE CLUMPS ARE UNDIVIDED AND LARGE, A VALUE AT ANY PRICE. 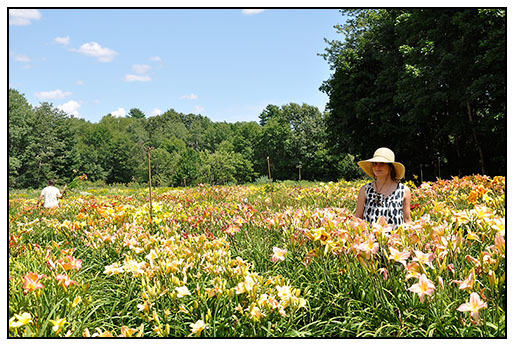 We spent the day at a daylily farm (we intended to spend the day at three daylily farms, but it took so long to get through the first one, that we never made it up to New Hampshire! 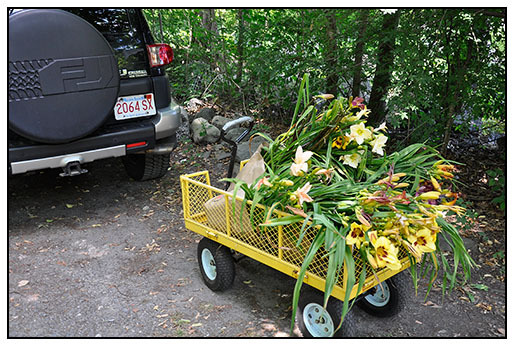 - Sorry daylily breeder Mike Huben and Harmon Hill Farm - we intended to visit, but ran out of time - we know your introductions are more current, a rain check from us.). 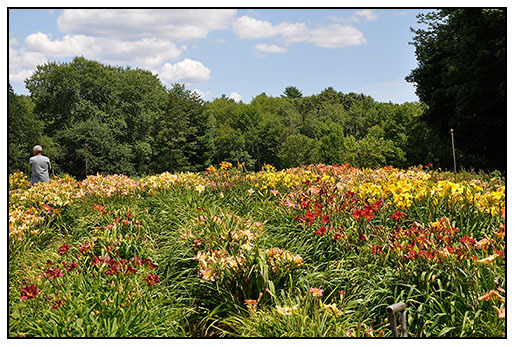 Our stop today brought us to an older daylily nursery in Carlisle Massachusetts, on the border of Concord - R. Seawright Daylilies. Owned by Mr. Seawright who I am not sure is still breeding anymore, but in his 80's, was still there digging old varieties. He is getting up in years, and I heard rumors that this will be his last summer open, so we decided to see what was left of his breeding, as the deals seemed too good to pass up. 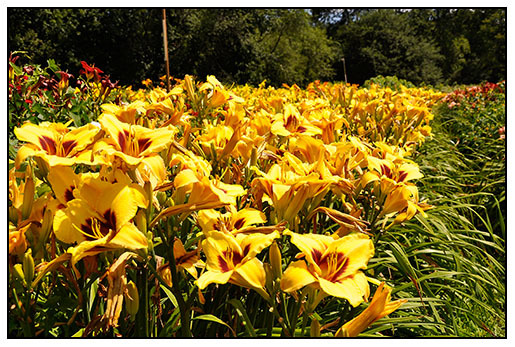 Most of the varieties in this field are older varieties from the 1980's and 1990's, and most introduced by Mr. Seawright himself, yet as for a value and for garden plants, these are still far better that what you will find at your local nursery. Plus, the price right now can't be beat ( $7.50 to $10.00 for some enormous field-grown clumps, this was a deal that we could not pass up). First we walked through the entire field, checking out it was varieties looked the best. Looking at mature field-grown clumps in the best way to see what characteristics are best. Some are tall, others, more floriferous, others have well branches sturdy stems. It's not easy, for with hundreds of varieties to choose from, it quickly becomes difficult to remember what variety you liked best. THIS IS ONE VARIETY I TOOK HOME CALLED 'DON STEVENS' - ONCE CLUMP FOR $7.50, WITH 8 FANS! I CHOSE IT BECAUSE OF HOW MANY BLOOMS IT HAS IN THE FIELD. JESS TOOK ABOUT THREE HOURS TRYING TO CHOOSE THE PERFECT BLEND OF PEACH AND PASTEL FLOWERS FOR HER HOME GARDEN IN RHODE ISLAND. 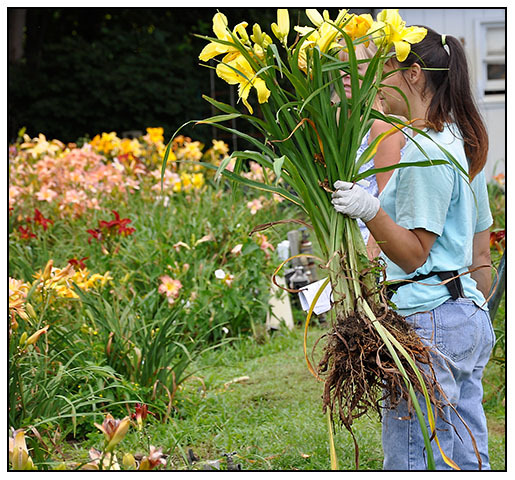 BUYING DAYLILIES AT A FARM THAT ALLOWS YOU TO PICK THEM IN THE FIELD, WILL OFTEN GET YOU LARGER SIZED PLANTS. AT SEAWRIGHT GARDENS, YOUR FIRST MAKE YOUR SELECTIONS, LOOKING FOR TAGS IN EACH ROW, THERE ARE HUNDREDS, SO IT TAKES TIME. THEN, STAFF WILL RUN OUT TO THE FIELD WITH YOU CARDS OF NAMED VARIETIES, AND THEY WILL DIG AND TAG THEM. ON BUSY SATURDAYS LIKE THIS, IT CAN TAKE SOME TIME. 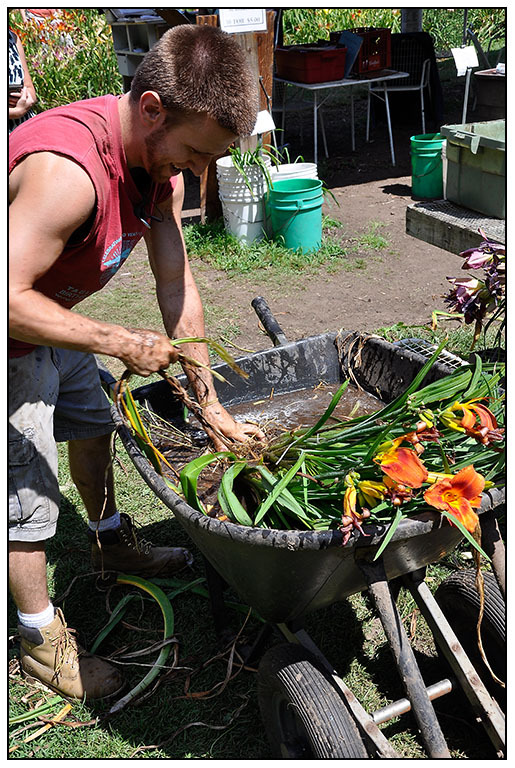 ONCE THE DAYLILIES ARE DUG, THE SOIL IS RINSED OFF, AND WEED ROOTS ARE REMOVED. 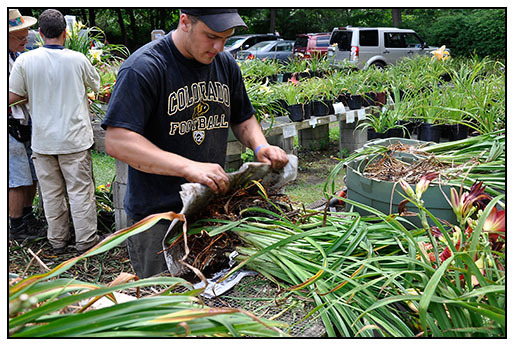 WASHED CLUMPS ARE WRAPPED AND LABELED AGAIN, AND THEN YOU ARE READY TAKE THEM HOME AND PLANT THEM IN YOUR GARDEN. HERE IS OUR LOAD - I ONLY SPEND $35.00! A RECORD FOR ME!